Whether you are looking to update a single room or your entire home, let us help you add comfort and style. Your family spends a lot of time in the kitchen. Shouldn’t you have a design that fits? With a wide selection of modern and classical styles, we have what you are looking for. With decades of working with Cedar Rapids families, our experience will help you get the look that is right for your home. The BEST Advice, The BEST Installation, and THE BEST PRICE Since 1963! For years, we have been helping Cedar Rapids with their flooring needs. How can we help you? Because we work with the industry’s top brands, we can help you find the perfect choice for your needs. Offering the latest styles and fashions. Honest and upfront pricing is what sets us apart. Our goal is to provide you with the best value at the best price, with no surprises. Our team deliver professional service that is complemented with the know how to get your project done right the first time. Beginning in 1963, House Of Carpets has been committed to providing the Cedar Rapids area with the best flooring and home design. Our team of experts are here to help you from designing and planning your project, to providing advice years after the installation. 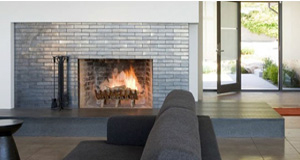 We have fireplace surround tile and stone options that will enhance the comfort and feel of your home. Let our team help design your dreams. Our selection of window treatments not only help regulate the natural light and privacy in your home but add an elegance that fits your style. 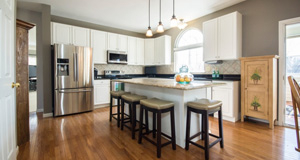 Using tile and stone in your kitchen or bath design adds richness and class to your home. Our design team is here to help you make your ideas a reality.